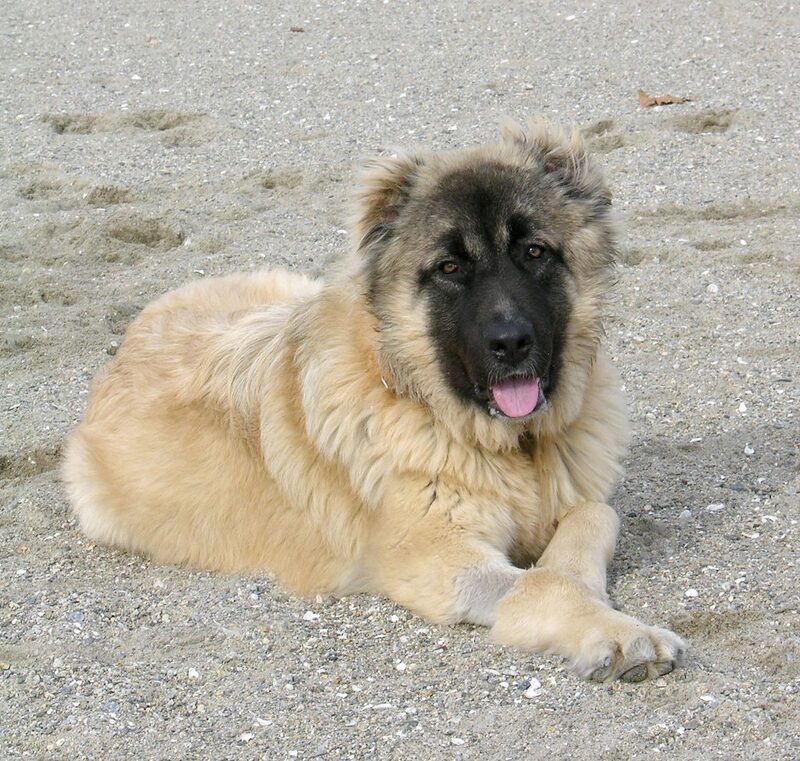 NATASHA – our beloved Russian Bear dog is on her way to a new pain-free life! WASA (Westport Animal Shelter Advocates) is pleased to announce that, in response to a request for funding, Harmony Home Concierge, a division of Petro Home Services, is donating $17,000 to WASA in regard to the double hip replacement surgeries needed for Natasha, a one-and-a-half-year-old Caucasian Shepherd/Russian Bear Dog rescued by Weston Animal Control Officer Mark Harper in December of 2016. 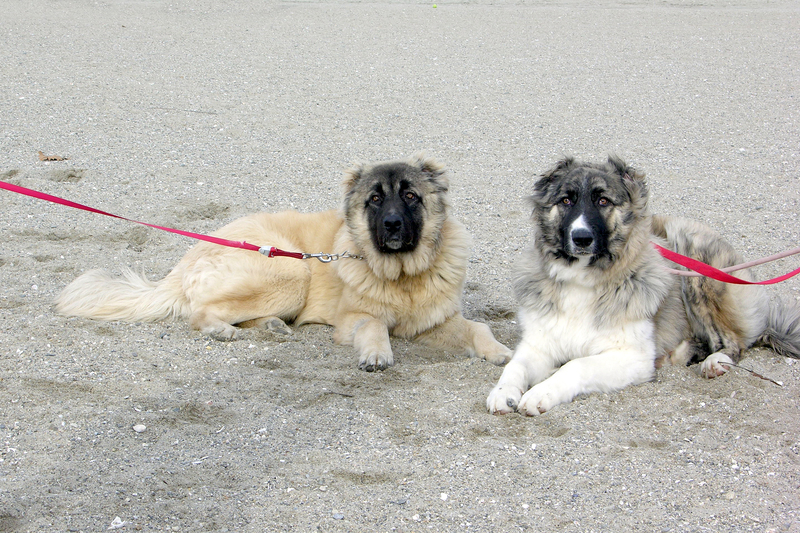 Natasha and her brother Boris, both Russian bear dogs, were rescued at the age of six months from a neglectful situation which resulted in each dog being 50 pounds underweight, swarming with ticks and in need of immediate vet care. As they were puppies, timing for their rescue was imperative before they developed behavior and additional medical problems due to this neglectful situation. 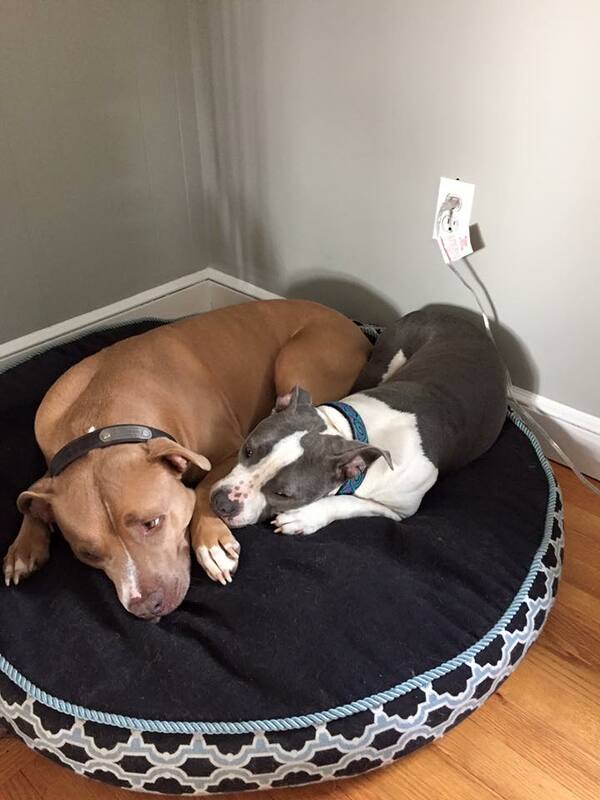 With the assistance of the staff at Schulhof Animal Hospital of Westport and Weston Animal Control Officer Harper, WASA was able to develop a plan which provided safe boarding for both dogs until they could be brought up to date on vet care and were medically sound. 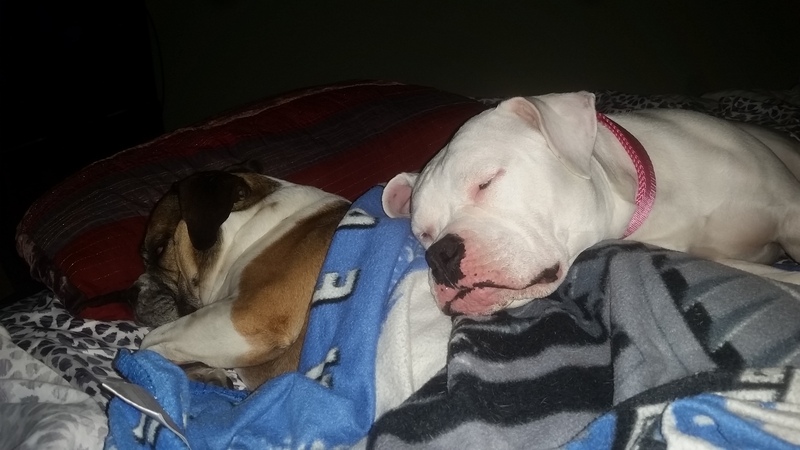 Over the course of many months, WASA funded their vet care and found a forever home for Boris with a family in Easton, CT. As Natasha grew and matured, however, her medical issues became severely debilitating in regard to her hips. Officer Harper agreed to provide a home for her until that time she was ready and funding was available for double hip replacement surgeries. Once she is fully recovered from both surgeries, a new forever home will be found for her. The first hip surgery is scheduled to be performed on or about 5/14/18 by Melvyn Pond, BVMS, MRCVS, DACVS, at the Central Hospital for Veterinary Medicine (North Haven, CT). Surgery for the other hip will take place in approximately six weeks following the successful healing and therapy from the first surgery. Harmony Home Concierge’s generous donation of $17,000 will fully fund the surgical procedures. Additional funding, approximately $3,000, for post-surgical care will be provided by WASA from donations designated by Connecticut residents for Natasha’s surgeries and post-surgical care. This care includes, but is not limited to, swim therapy at a location to be determined and medical boarding and therapeutic laser treatments provided by the staff of Schulhof Animal Hospital of Westport. In addition to the sponsorship of Natasha’s surgery, the creative staff of Harmony Home Concierge are currently working on a vehicle wrap design for Petro Oil Company featuring the WASA logo. 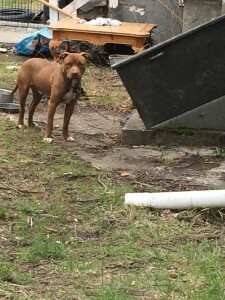 WASA (Westport Animal Shelter Advocates) is a 501c3 organization that formed in 2008 to assist and advocate for homeless or soon-to-be-homeless dogs in Connecticut. Our primary focus is attending to the needs of impounded dogs at Westport Animal Control in Westport, CT. We provide funds for their vet care, exercise, train and promote the dogs as well as perform home and reference checks in order to ensure that the dogs are placed safely in loving homes. Westport Animal Control located on Elaine Road in Westport, is a no kill shelter where homeless dogs receive the love and care they need until their forever home is found. Additionally, WASA fosters homeless dogs that come from other Connecticut animal control facilities or come to WASA from Connecticut residents that for a variety of reasons need to be rehomed. Some states have official state dog breeds, and, according to my research, there are even a few cities that have claimed a particular breed as “their official dog”. For a moment in time, however, Westport’s dog was Maddie, a 3-year-old(ish) bulldog mixed breed. 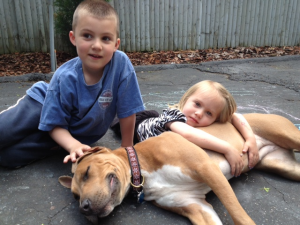 In May, Maddie was abandoned and subsequently seriously injured on I95 in Westport. She was the third in a series of three young female bully breed mixes that were found roaming near I95 in the spring of 2017. WASA funded the vet care (spaying, vaccinations, dental cleanings and extractions) of the other two girls, Simone and Marilyn, that, while they were dangerously emaciated and in need of immediate vet care, did not pose the critical and emergency care needs as those presented by Maddie due to her being hit and dragged by a car. She had deep lacerations and abrasions and the femur in her right rear leg was shattered into many pieces. Maddie was found by a motorist and transported to the VCA Veterinary Referral and Emergency Center in Norwalk, CT. WASA was notified by the Westport Police Department in hopes that we would be willing to fund her surgical and post-surgical care. The only other options which would have been acceptable in terms of the town budget, as the projected cost of care would be over $7,000 would be amputation of the injured leg or euthanasia. Amputation of Maddie’s rear leg, given her physique, would have drastically and horrendously affected her quality of life. Euthanasia? Not on WASA’s watch. As we have done so often since WASA’s formation in 2008, we stepped up for a Westport dog in need and agreed to take on the responsibility of funding Maddie’s care which, in addition to vehicular-related injuries, would involve spay surgery and surgery to repair her “cherry eye”. 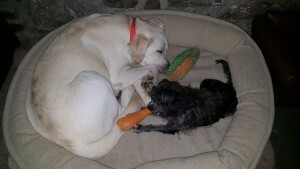 WASA also adopted Maddie and made her part of the WASA foster program. The “Save Maddie” t-shirt sale campaign was launched at Earth Animal of Westport with the assistance of Channel 12. Thousands of dollars were raised by Westport residents stopping in to buy a few t-shirts or to drop a generous donation in the Save Maddie bowl. Schulhof Animal Hospital of Westport provided around-the-clock care post-surgical care at no cost to WASA. As she grew stronger and healed from all of her surgeries and with her wounds healed, the Schulhof staff provided her a home while WASA volunteers provided her with walks and off-site field trips. 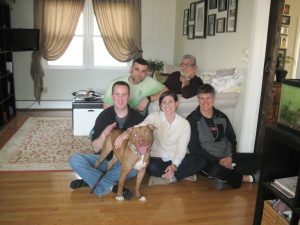 WASA volunteers scheduled meet and greets with potential adopters and their families, including their own pets, until a quite wonderful forever home was found for our Miss Maddie – and one perfect home was indeed found. She now resides in Fairfield, CT with her mom Mary Ann, dad Jim and canine brother Cooper, a rescued Boston terrier mix. The Town of Westport came together for Maddie, a loving dog that through all her fear and pain, responded with only love and affection to those devoted to her care. Gandhi said “The greatness of a nation can be judged by the way it treats its animals” and while Westport is not a nation, it is a community that certainly showed its greatness in its response to a dog in need, our lovely Maddie. 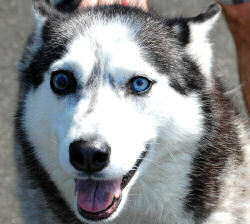 KATIE, a young husky, arrived as a guest to Westport Animal Control when she was picked up roaming. She was in a great deal of pain because of a bulging eye that was in danger of rupturing from glaucoma. Presented with several options to help Katie by the eye specialist, WASA chose to the fund the most expensive and most likely to prevent infection (and keep her prettiest) option in regard to her glaucoma. We funded the surgery to have her eye removed and replaced with a prosthetic eye. The cost of the surgery and post-surgical care was $2,500 and it was all funded by WASA. We knew that the chances of Katie finding a home in her “check-in” condition would be doubtful. Following her surgery and recovery, she was adopted quickly by a local family. For 10 months RIKO lived on the end of a chain in Fairfield, CT. He struggled to reach his water and his food and his cries could be heard throughout the neighborhood. At the end of the day he was thrown down into a cellar. After being unsuccessful in attempts with other agencies and officials to get help for Riko by concerned residents, WASA was contacted. WASA was able to break his chains and arrange for him to come to Westport Animal Control under the then Chief Animal Control Officer Peter D’Amico. We quickly learned he was a special boy and while it took a bit to find him his perfect and forever home, it did happen. Never again would Riko have to cry and struggle to survive. JASMINE, now Jazz. Jasmine, an 8-year-old German Shepherd, lost her home when her pet mom moved into a NO PETS condo and entered into the WASA foster program. Jasmine was a frequent guest at WASA events (seen here with Senator Toni Boucher) and, with her lovely personality, quickly won the hearts of volunteers and everyone that met her. Recently adopted by a local Westport resident, she now enjoys accompanying her pet pop to work every day at his legal office. JEMIMAH, formerly Diamond. 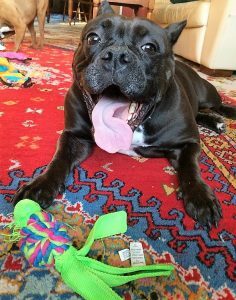 Jemimah was a young mixed breed “papered” online purchase that entered into the WASA foster program when surrendered by her Bridgeport, CT family due to landlord restrictions and their inability to fund much-needed vet care. Jemimah was missing most of the fur on her body and it took a team of experts at the Animal Specialty Center in Yonkers to get to the root ofher problem. We thank her wonderful new pet parents, NY Yankees President Randy Levine and his wife Mindy Franklin Levine, for making her a member of their family and funding her care. Her fur has returned, and, among many new enjoyments in her life, loves being one of a grand pack of resident dogs. OLIVIA gets a second chance. Olivia, 3 years old, was one of 9 bulldog mixes seized from a horrific basement breeder in Bridgeport, CT. For three years she was confined to a small crate. She became a WASA foster following the successful outcome of the cruelty case and entered into the WASA program. Despite her cruel treatment and keeping with the nature of many rescued dogs, she forgave all and was eager to meet people and other dogs. Following WASA’s usual adoption process (application and home visit), she was adopted by a CT couple which includes Ripken, the resident pooch that is also a rescue dog. Ripken hails from New Haven Animal Control. LUCY UPDATE. Lucy was a 5-month-old puppy that, after being critically injured by a speeding car, was left in a box “to heal”. Following the surrender by her owner to WASA, we funded her vet care, which included surgery for a fractured pelvis and femur, at the VCA Emergency Hospital in Norwalk. Following this sweet girl’s hospital discharge, she was subsequently adopted by her foster family which includes Caprice, the resident pooch that watched over her recovery. As you can see, there was definitely a bond that formed between Lucy and Caprice. We thank all that donated to the Lucy Fund. 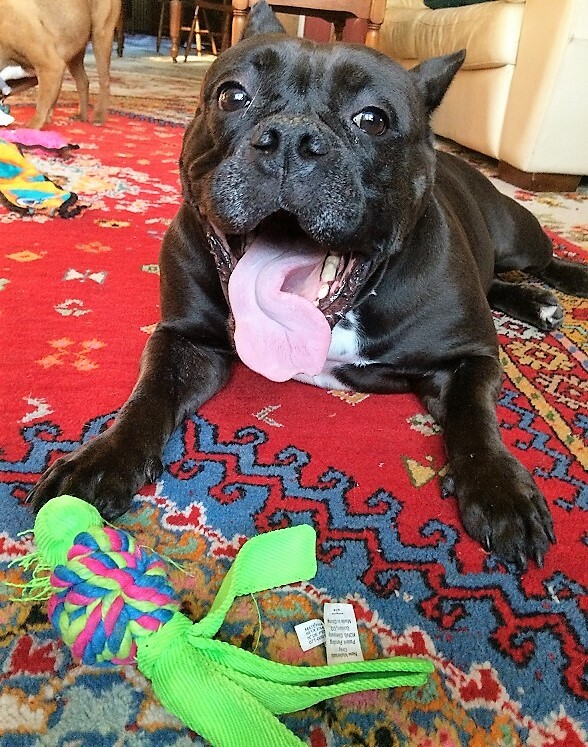 Here’s my story for Clara, who we adopted through Westport Animal Control in April 2013: From the second we brought Clara home, we knew we were keeping her. She loved our cat. She sat and waited for us to tell her it’s okay to eat. She was the best cuddler EVER. To believe anyone could give up this wonderful girl is beyond us. She had a little separation anxiety to start but with exercise and some love she’s grown out of it, with the occasional destruction of one of our tissue boxes. Most days, however, she is with her “Pepe” in his garage, sleeping in the front seat of his truck while he works on it. She is amazing with kids as well. This picture with our niece and nephew was taken only 3 weeks after we brought her home. Our niece often asks if Clara can come for a sleep over…in her bed of course. We are so lucky to have found Clara. She has stolen our hearts, and everyone that meets her changes their mind about bully breeds being a danger. Thank you for taking such good care of her! 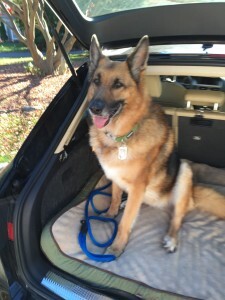 I adopted Max from Westport Animal Control in June 2009. He is a mix of German Shepherd and Chow with some Akita in there too. He loves going to Huntington State Park but he is also a regular at Winslow, Lake Mohegan, Taylor Farm and Sherwood Island (in off-season). He is my chief of security. Copyright © 2014 Westport Animal Shelter Advocates, WASA. All Rights Reserved.